This year has been incredible for me. My wife and I had a baby girl, and we’re super excited about sharing the holidays with her for the first time. Regardless if you have a child or not, it’s safe to say that the holiday season is the best time to enjoy time with friends, family and loved ones. Normally I like to use the credit card points I’ve earned on myself, but this year I’m changing things up. 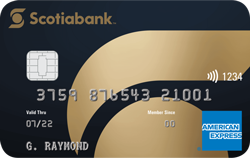 The Scotiabank® Gold American Express® Card offers 25,000 bonus points when you spend $1,000 in purchases in the first three months (a value of $250 in travel savings). You’ll earn 4 Scotia Rewards®* points per $1 on the first $50,000 you spend on the Card each year on gas, groceries, dining and entertainment (all things we’ll be doing lots of over the holidays) and 1 point per $1 dollar spent on all your other purchases. Since the points can be redeemed for any type of travel purchased on your Card, you can use those points to book yourself and loved ones a vacation. If travel isn’t on your family’s list, there is an extensive collection of rewards that can be redeemed through the Scotia Rewards online catalogue such as the latest in technology from Apple and Best Buy, brand-name merchandise, gift cards and prepaid cards, or even a statement credit towards your Scotiabank credit card account. #ScotiaRewards offers one of the most flexible redemption programs in the industry. The annual fee is normally $99, but is waived for the first year for new accounts opened by Feb. 28, 2018. Not to mention, cardholders have access to comprehensive travel insurance coverage and discounted airport lounge membership, You can visit scotiabank.com for more details. 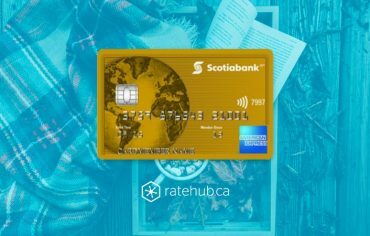 Another bonus: Until Dec. 31, if you apply through this link, you can receive a free $100 gift card for Amazon, Cineplex or Indigo from Ratehub.ca upon approval of your card application for a new Scotiabank credit card account. Please allow 10-15 business days after approval for your gift card to be sent by Ratehub.ca. There was a time when I used to buy all my friends a gift. I honestly don’t know how I survived that period without going into debt. 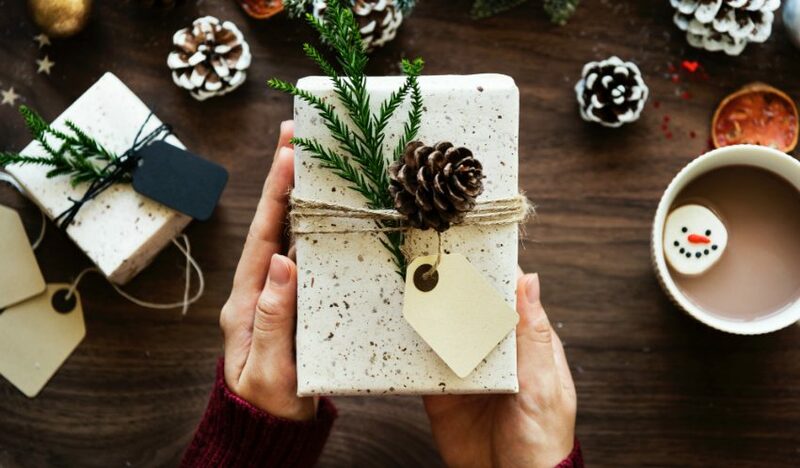 These days, my friends and coworkers prefer to do a Secret Santa exchange since that means we only need to worry about buying a single gift for the group. We also set a limit on how much we spend so no one has to worry about going over budget. Honestly, if you’re stressing about buying presents for everyone, the odds are your friends or family might be too. If you’re looking to cut back on your spending, don’t be afraid to suggest a Secret Santa. that you could get with your Scotia Rewards points. I come from a culture where giving cash is pretty standard for any occasion, but some people find it to be a bit impersonal. I get that, but I’m more the practical type. Fortunately, over the years, giving gift cards has become a pretty common thing. I usually have a good idea of where my friends and family like to shop, so I get them a gift card which I know they’ll use. The personal touch for me comes in the form of a holiday card. A handwritten line or two about why that person matters to me goes a long way. The gift card ends up being a nice bonus and the set price ensures I stay on track of my holiday spending budget. The holiday season is about spending time with your loved ones, not how much you spend. That being said, by being smart with your money and choosing a credit card that you can earn rewards on when you make your everyday purchases, you can make the best of the holidays without breaking the bank. 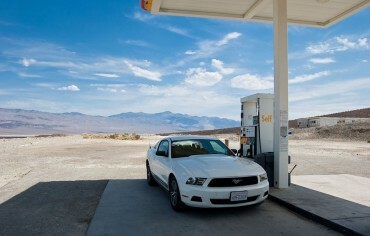 ® American Express is a registered trademark of American Express. 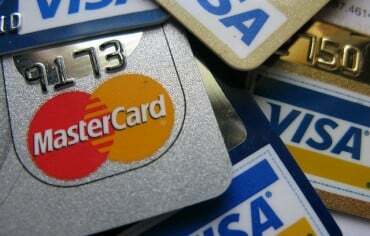 This credit card program is issued and administered by The Bank of Nova Scotia under license from American Express.